I went looking back through iPhoto to see if there were any outfits I'd taken pictures of but hadn't posted. Found this one from mid-September. 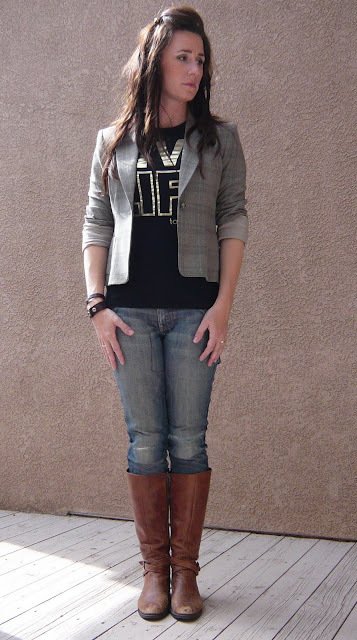 GREAT example of a basic, go-to outfit: screen print tee + jacket + skinnies. Tee: Gifted from one of THE. MOST. incredibly amazing women I know. Denim: 7 for all Mankind, a Mother's Day gift years ago. Have worn them into the ground, and my MIL has been so gracious to resurrect them from the dead each time. GUESS WHAT??!!!? My Brave bracelet? That I wear, truly, every.single.day? From GodChicks? Well, Holly Wagner, the founder of GC is going to be at the Awaken Conference at New Life in just a couple of weeks!!! On November 11th and 12th bring your daughters. Bring your daughters' friends. Bring your youth group girls. Bring the college girls that live in the apartments next to you. Come with them and be poured into. You will NOT regret it! We need to step UP and AWAKEN ourselves and the rising generation to what God is doing in the world... and how HE wants US to partner WITH HIM!!! Don't miss out on this amazing event. See all the speakers and get your tickets here. 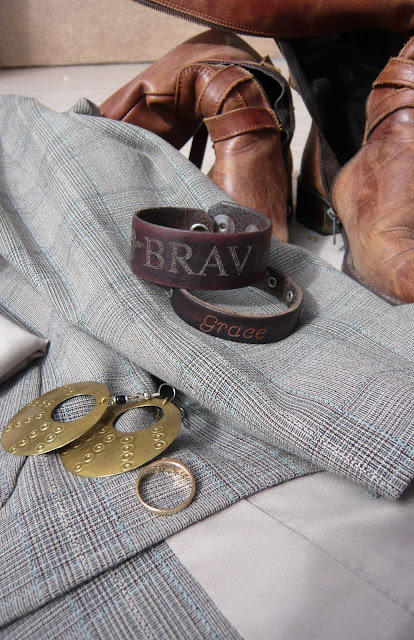 Brave Grace... ah, yes. 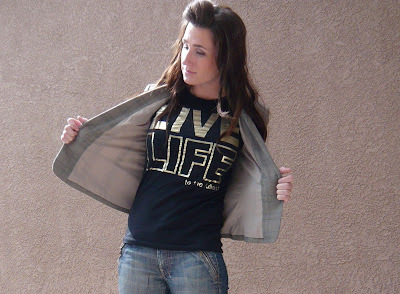 Lord, help me live up to it!! !